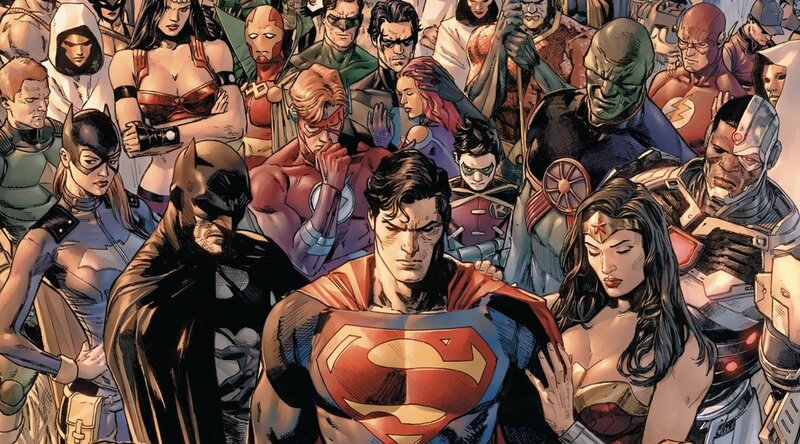 Heroes In Crisis is going to piss a lot of people off, however if there’s one thing that readers will not be angered by is Clay Mann’s beautiful pencils. Before going deep down the emotional well, the “fight” between Booster Gold and Harley Quinn is perhaps one of the most unorthodox super fights that I’ve seen in quite some time. Yes there was a couple of explosions, but I love how grounded the fight is, it’s brutal and ugly and Mann perfectly captures it. The pages featuring Booster and Quinn aren’t many, but I guarantee that these pages will be the one’s that readers will remember as time goes on. I’ve seen Clay Mann’s pencils for the better part of a decade now, and I’ve always enjoyed his art whenever he would work on a random Marvel or DC comic. His pencils on this first issue should make him a bigger name within the world of comics. While I did highlight the battle between Gold and Harley, it’s the quieter moments where Mann’s art can make a full grown adult cry about a superhero they’ve never meet. Mann puts so much personality into these lesser known characters, and somehow within the nine panel structure the reader is given enough of a emotional connection before the next page reveals their deaths. The one that personally made me choke up was Superman finding Hot Spot, clearly crying before his life was taken from him. This entire issue is a artistic tour de force, Mann’s pencils are on another level. Whether or not you agree with the overall story, you can’t argue that Clay Mann makes this book what it is. Tom King is currently one of comics favorite writers, and over the past several years he’s proven that despite decades of writers trying to reinvent the superhero genre, it’s still possible to find new avenues to explore. Ignoring the fact that this is only the second time DC readers will have heard of Sanctuary (read your Flash comics! ), it’s pretty bold to drop the reader into a story that is clearly in progress. Some readers might be confused why there acting this way or why Wally West and Arsenal are dead and it could potentially turn them away because none of this is explained. It’s clear that King wants to tell a methodical mystery akin to Identity Crisis. By not explaining the events it makes the readers, it makes the readers shall a emotional connection to Superman, Batman, and Wonder Woman. Proving that no matter if you’re a man dressed up as a Bat or person picking up their comics we all react to senseless death in similar fashion. Despite certain deaths, Heroes In Crisis was one of the best first issues of a event that I’ve read. It somehow bucks the trend of explaining everything to the reader up front in favor the emotional gut punch. Plus the final two pages revealing that Booster may has killed the heroes at Sanctuary followed by his interview gave me chills. I didn’t know what to expect and even after finishing Heroes in Crisis #1 I still have no idea what to expect and that has me giddy for the rest of the issue.